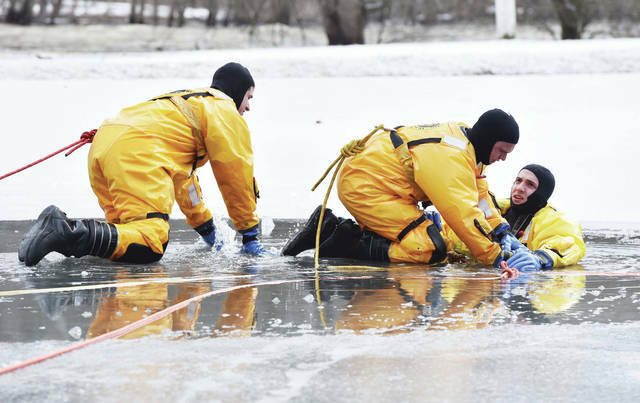 Sidney firefighter Jeff Simon, left, of Russia, practices rescuing Sidney firefighter Adam Schulze, of Maria Stein from the pond at Roadside Park Thursday, Jan. 24. 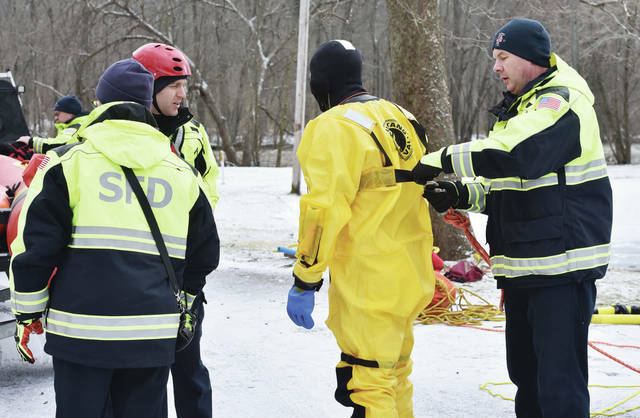 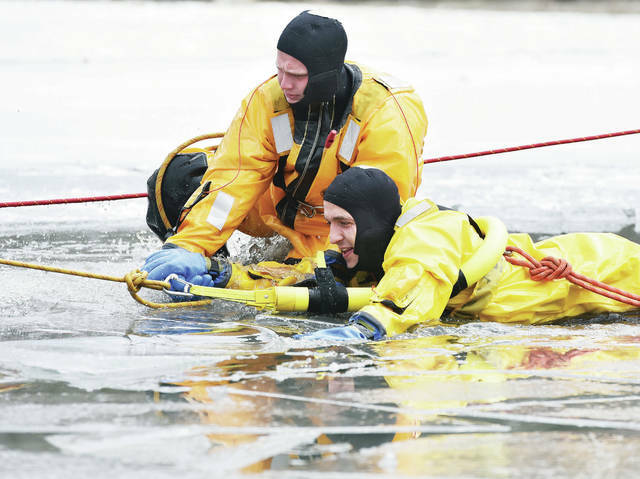 Sidney firefighters took turns took turns rescuing each other during ice rescue training. 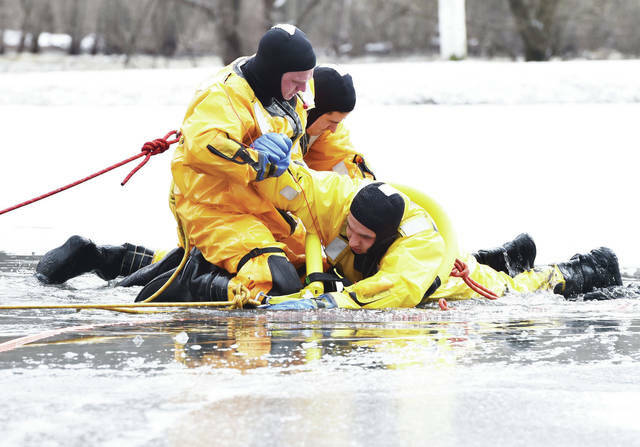 They also practiced rescues with a boat and a plank. 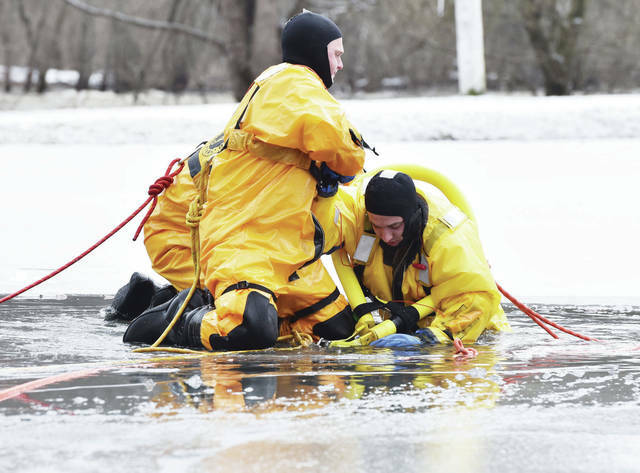 Sidney firefighter Jeff Simon, left, of Russia, practices rescuing Sidney firefighter Adam Schulze, of Maria Stein, from the pond in Roadside Park, Thursday, Jan. 24. 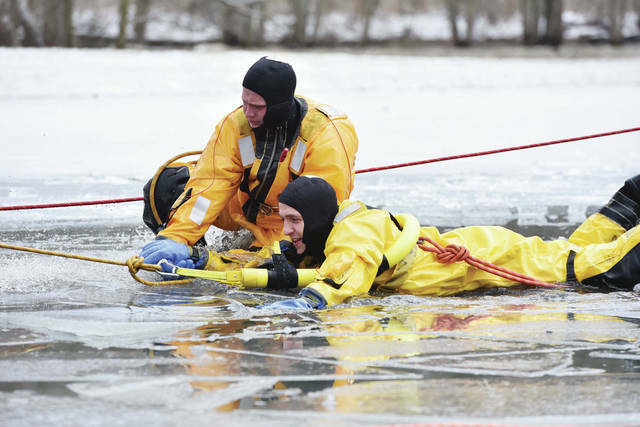 Sidney firefighters took turns rescuing each other during ice rescue training. 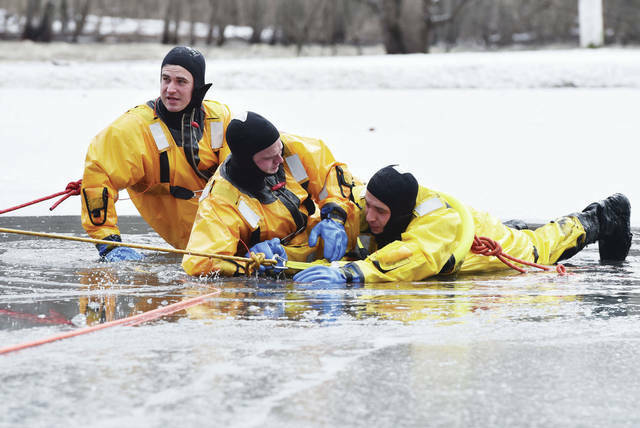 They also practiced rescues with a boat and a plank. 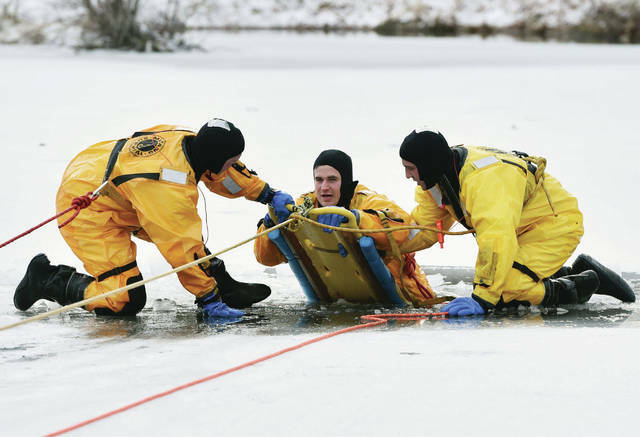 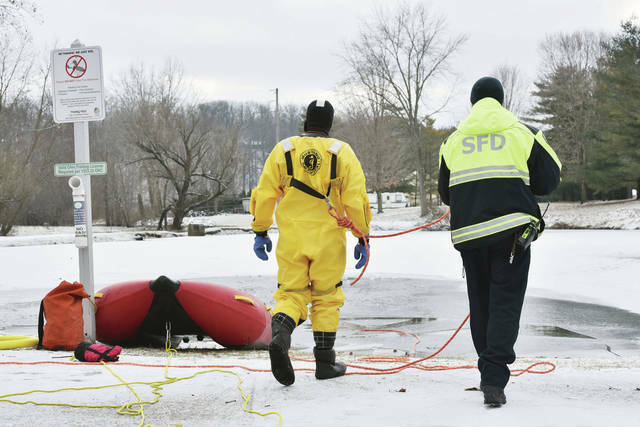 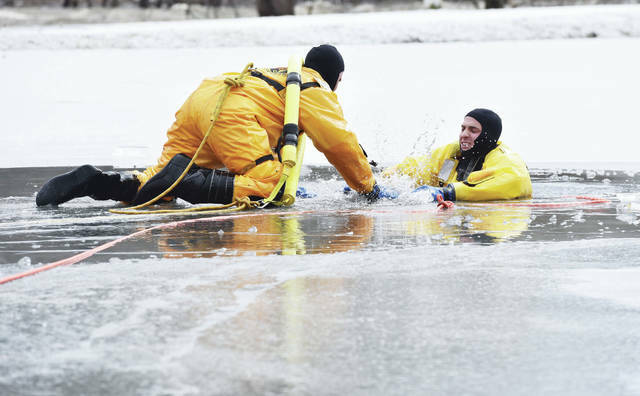 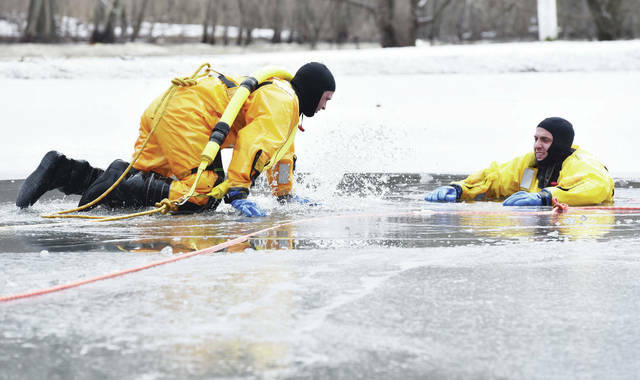 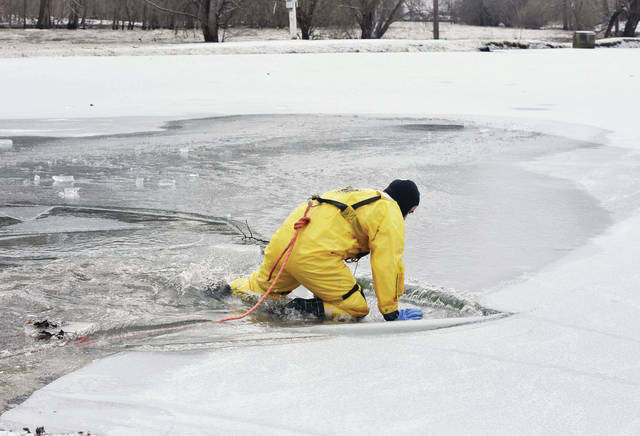 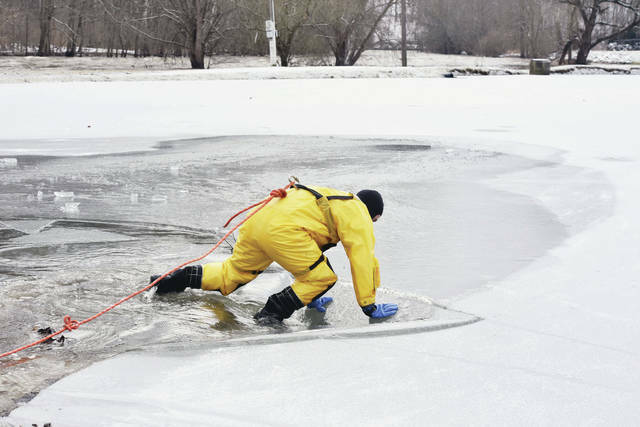 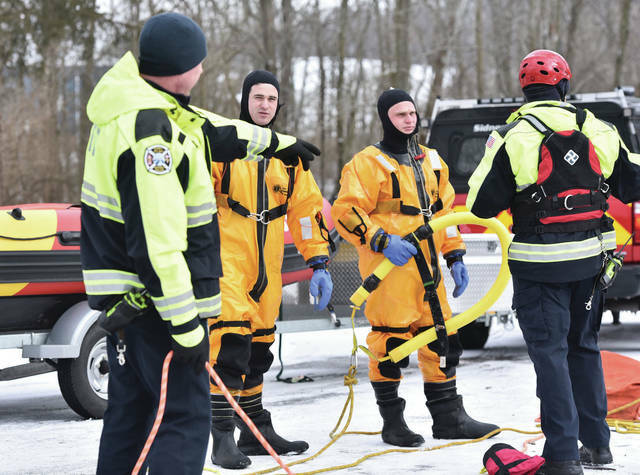 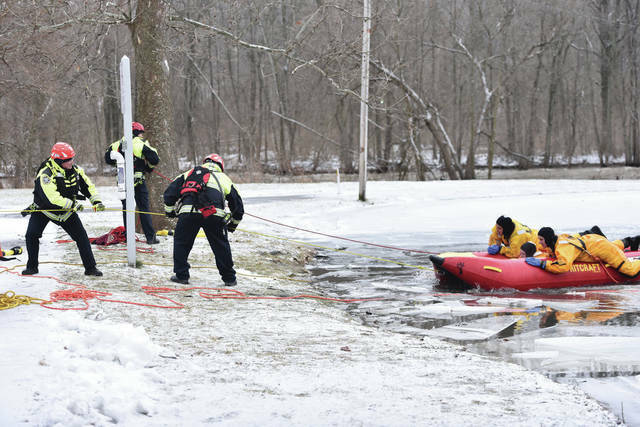 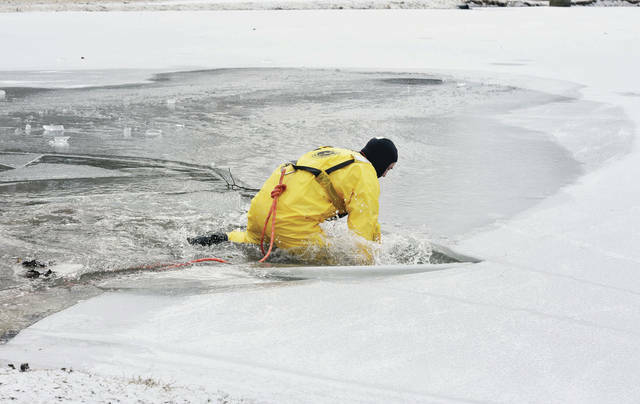 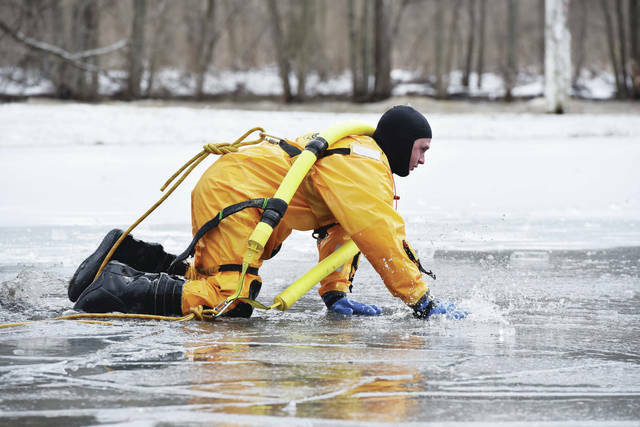 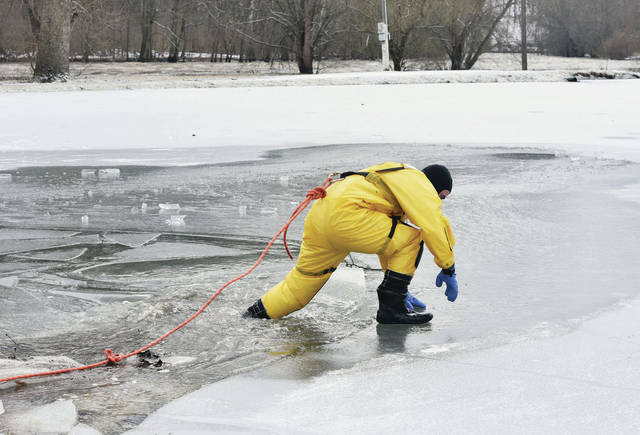 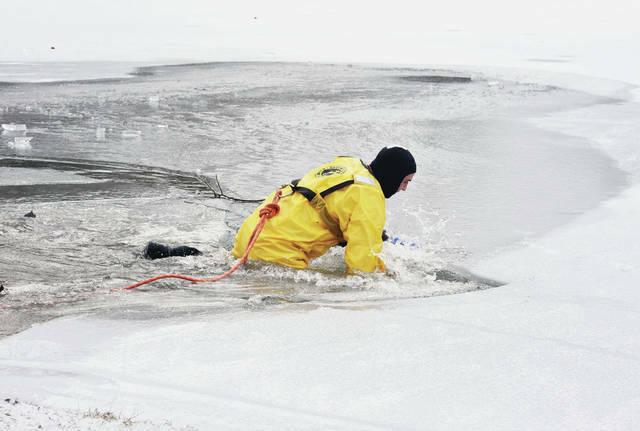 https://www.sidneydailynews.com/wp-content/uploads/sites/47/2019/01/web1_DSC_3268.jpgSidney firefighter Jeff Simon, left, of Russia, practices rescuing Sidney firefighter Adam Schulze, of Maria Stein from the pond at Roadside Park Thursday, Jan. 24. 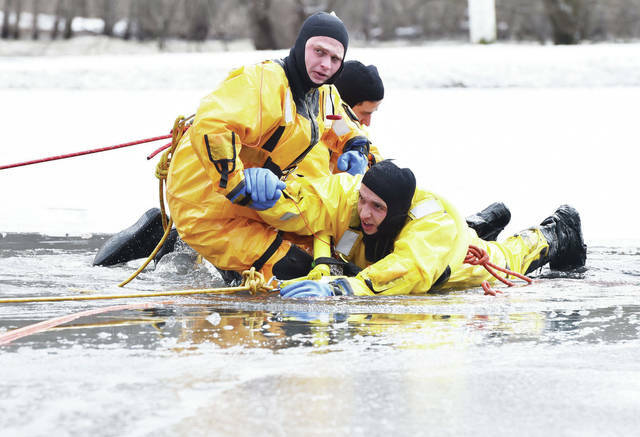 Sidney firefighters took turns took turns rescuing each other during ice rescue training. 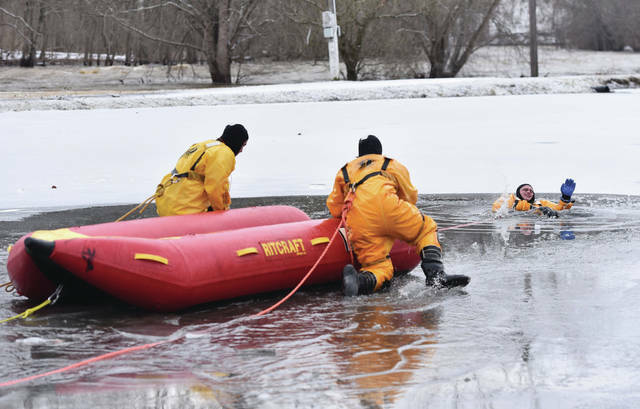 They also practiced rescues with a boat and a plank.